Elsa has agreed to put on a show at her Ice Palace. 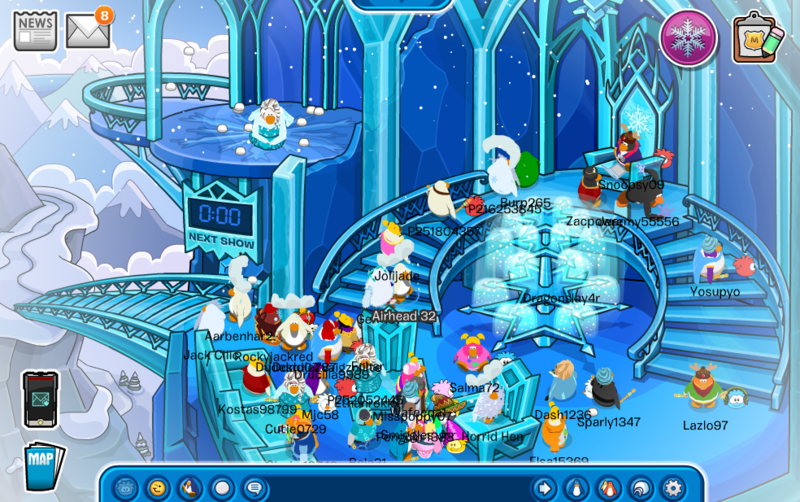 You can get to the Ice Palace by going to the snowforts and going through the gate. I saw Elsa perform and the popular song "Let It Go" was playing. Everyone in the room seemed to enjoy it and I can say that I definitely did! 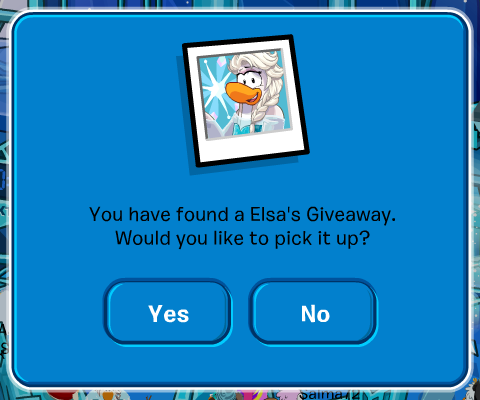 While Elsa is performing you can click on her and you will be able to collect her background. This background may become rare in a couple of years so collect it!